Saturday mornings, the world is my oyster. Saturday mornings, while the sun streams through the window and I drink my second mug of coffee, I think about making elaborate meals and stocking my refrigerator for the week so I'm not forced to eat Hamburger Helper midweek. And then the weekend begins in earnest. The hubster convinces me I should pay a grudging visit to the gym, I call my mom before she has a chance to call and complain about how I never call, I hang out with friends who don't talk or think about food all the time (as an aside, I'm in the market for real live foodie friends who don't live in my computer) and I do laundry. Lots and lots of laundry. For two people with no kids, we sure have a lot of laundry. We'll probably have to buy stock in the Tide company once we actually have kids. The point is, there are many weeks where I'm not as prepared meal wise as I'd like to be for the upcoming week. And inevitably, come Wednesday night after a long and crazy day of work, I'm staring inside a fridge containing only a bottle of pseudo-Asian inspired marinade, two limp celery stalks, and a sad looking carton of baking powder. Oh, and the ever empty Brita pitcher, sitting there serenely, mocking me. Given the success of the Mark Bittman Fried Rice, I decided to start a collection of recipes for easy weeknight dinners for the working woman (or man, though I know men are generally pretty cool with eating cereal for dinner. Wait, so am I, Hmm.). Thus, the Weeknight Dinners for the Working Woman (or Man) series was born. The recipes involve relatively simple ingredients and preparation, perfect after standing around for ten hours in an itchy skirt and high heels that pinch your toes. No scented foam or eight hours of slow cooking here, folks. These are meals designed to ensure you aren't forced to eat a peanut butter n' jelly sandwich for dinner (notwithstanding the days your boss yells at you, your clients yell at you, the parking attendant yells at you, and the only thing that'll make you feel better is a peanut butter n' jelly sandwich). This Wednesday's exhibit? 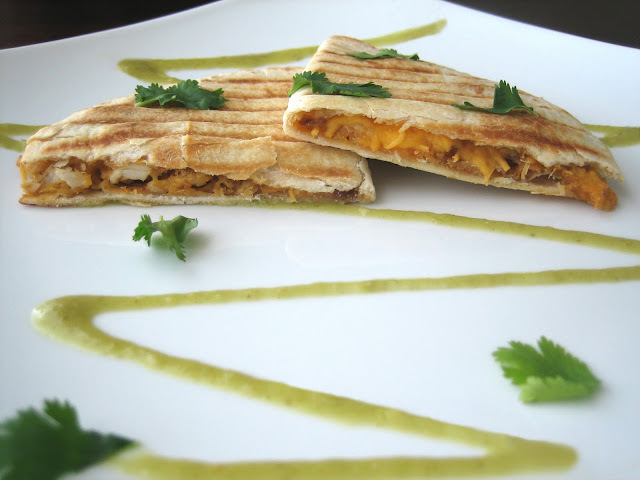 Green Chilli Chicken Quesadillas. I know, I know. Your five-year-old can bust out a chicken quesadilla that'd make Rick Bayless jealous. But remember, this is weeknight dinners for the working woman (or man) and unless your five-year-old is putting in 60-70 hours draftng briefs and filing motions, I remain unimpressed by his coloring, nap time, and sandwiches cut in the shape of stars. Unimpressed and oh, so envious. So, back to the quesadillas. Anyone can throw some cooked chicken and cheese on a tortilla, plop it in the George Foreman and cut the finished product into fancy triangles. But not everyone has a giant cache of tomatillo sauce. Read it and weep, five-year-old! Summertime is the perfect time for gorgeous tomatillos and a few weekends ago, I got a bushel of tomatillos and pureed the heck out of 'em to make giant vats of sauce that we are eating with everything. A dollop on scrambled eggs? Check. Poured on enchiladas? Check. Eaten straight from the container while standing in front of the fridge? Check. So, the chicken is uber simple to make and cooking it is definitely better than sitting in the drive-thru, talking to yourself about how it's almost a national holiday and you may finally get to sleep in until 9:00 a.m. Chop the chicken in cubes, season with a couple of teaspoons of crushed garlic, onion powder, salt, pepper, and thinly sliced green chillis (serranos, jalapenos or the like, depending on your heat tolerance). Cheese? I use cheddar because I like cheddar. Cheddar is close to American cheese and we know American cheese comforts me. You can pretty much use any cheese you want (or more realistically, have on hand). Tortillas? Flour, wheat, corn are all good. Give it a generous spritz of oil and cook your quesedilla on the pan or my personal favorite, in the panini press. Now for the sauce. The most versatile sauce is nothing more than a pureed salsa verde. If you make a giant batch, you can even go halfsies and leave one part chunky to eat with tortilla chips while you puree the other part and put it in a container for the week. You'll thank yourself, particularly if it's a week that involves researching drug recidivist provisions, pleading with government counsel to help your client, oh and convincing your other client that he cannot lie on the stand because that would be bad. 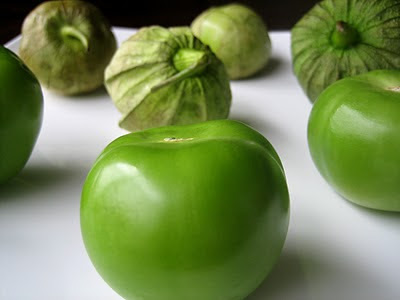 I have never seen tomatillos in real life, but I am envious. You secret sauce looks delicious. Love the tomatillo sauce. I'm a big fan of quick week night dinners. Gorgeous photos and presentation. Great job! sometimes when i read your posts, i think - wait, did I write this? (i'm a muslimah-newly-graduated-lawyer-with-civil-rights-passion-but-always-thinking-about-food-no-kids-but-too-much-laundry-and-omg-why-does-the-hubs-always-put-the-empty-brita-back-in-the-fridge-still-empty). i love the recipes, photography, and prose. keep it up! I love your post! I do know how depressing it is when you come home mid week, hungry and tired and find nothing in your fridge to wolf down...so your series makes total sense! The tomatillo sauce sounds great! 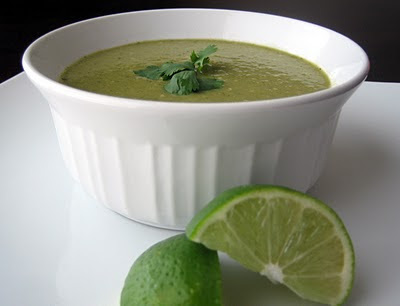 Mmm, your tomatillo sauce looks so good. I need to hunt some down at the farmer's market next week. Although I'm an unemployed MBA and stay at home mom with 2 kids, I love the quick dinners series and could use some new ideas. My family would love quesadillas w/ this sauce. And yes, you should invest in Tide when you have kids... laundry is 100x worse... lol. Cheers. Your posts are always so beautifully written and your pictures are to die for. I'm in serious need of a quesadilla now! Series is inspired - I have so many of these easy weeknight meals because of "the lifestyle." Tomatilla sauce is a brilliant add to the basic quesadilla (I love grilling mine in a pan). LOL re tide - don't start taking hot yoga, you'll de doing laundry every other day. Have a great weekend. This is wonderful! Even those non lawyer types who work from home with kids (namely me) can benefit from this. Love your storytelling and bookmarked your blog! The tomatillo is gorgeous; your sauce is gorgeous +10! I really like how you put it together and plate it. So beautiful. I completely understand about Wed night dinner dilemmas and the laundry. It's also just me and my husband but boy, our laundry room is busy! Your quesadillas are beautiful and I imagine they tasted great with the tomatillo sauce. Thanks! These photos are amazing!! Best yet! I could have used this recipe this past week. Was definitely a working woman. Ugh! Looking forward to trying this! This is a great meal for a weeknight dinner for sure! The flavors are satisfying, and as a fellow working woman, I would love to have this for dinner. HAHAHAHA... i love how you just sassed all the cooking 5 year olds out there with your brilliant tomatillo sauce. Joking aside, the quesedilla looks lovely. Gourmande- I like the "secret sauce" label. I bet it'd be marketing genius. Kait- Thanks! One can never have too many quick dinner ideas, especially in starvation mode. Lazaro- Thanks! A good presentation would probably make a bowl of cereal look spectacular as well. Wait, did I just come up with a new blog post idea? Housewife- Depressing. That sums up the situation quite well. I always feel so much happier with a good meal in front of me. I guess that proves I'm a simple being! Maren- Thank you for such a sweet comment! I am pretty much in need of a quesadilla all the time. Jean- I am comforted to know there are other childless couples fighting the same never ending battle with laundry! Kat- I always feel like the more I work, the further behind I get. It's a conspiracy! Hope this upcoming week is better for both of us. Your quesadillas look like a restaurant plate and I love the tomatillo sauce! Gorgeous presentation! The quesadillas sound so delicious and the tomatillo sauce is awesome! Plus your photography is gorgeous! Yummy ! Trust me even after having two kids you still need meals like this. I work for an advertising agency and I feel your pain. Question ? Can I used canned tomatillios ? Here in France there is no way I can get it fresh. Wow what a color!! Presentation looks superb and so is the dish! !